The Craig Wild Bunch, Inc. Hunting you'll remember for years to come. 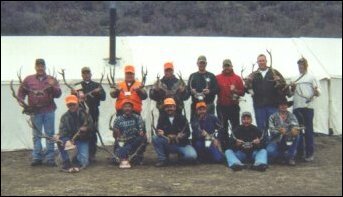 The Craig Wild Bunch wants to invite you to hunt with us for a very rewarding experience. We have always been a family owned business and have outfitted this area for over 30 years, and it has provided many memorable hunts. We hunt on approximately 3800 acres of private land only in GMU 4 just north of Craig Colorado. Our elevation runs from about 6600' to 8500'. 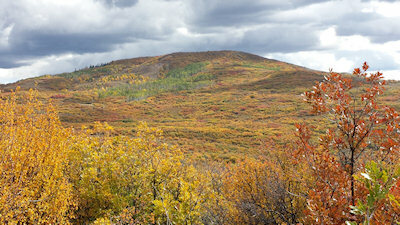 It is mostly oak brush with stands of aspen and 2 creeks that run through it (Little Bear and Dry Fork). We are located on the west side of Black Mountain. We only allow our hunters to foot access or horses on the ranch (no 4-wheelers). Access to the ranch is by County Road 27, which runs through the middle of the ranch to the Routt National Forest. We can custom fit a hunt to your needs,either do it yourself, semi-guided or guided hunts for Archery, Muzzleloading, and all 4 Rifle Seasons. We also have late season Cow Elk hunts that run from the day after 4th rifle season to the last day of November. All of our hunts are by Fair Chase. Trophy Hunts. We also have BLM Special Use Permits for that Trophy Hunt of a lifetime for GMU 1, 2, 10, and 201, so click on our Trophy page to get all the information. We also rent out tents and all the associated equipment with them or you can stay in a motel in Craig. Or you can bring your own tent or camper and camp on the ranch. Meat Packing. Since we do not allow vehicles or 4-wheelers we will pack out one elk or one deer for you. There will be a charge for any extra packing. Upcoming Seasons. Complete information about the upcoming hunting seasons, including dates, license costs, drawing for limited licenses, etc. is available at the Colorado Parks and Wildlife website. Deposit: we require a 50% deposit to book any hunt. For more information about our hunts browse through our site.